Norway's economic crime unit Ã˜kokrim suspects MMO The Secret World developer Funcom of trade infringement. This morning Norway's economic crime unit Ã˜kokrim conducted a raid at the Oslo, Norway office of Funcom, the developer behind The Secret World. 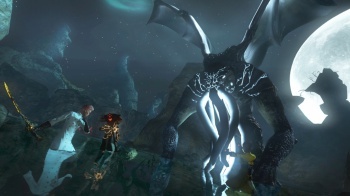 Ã˜kokrim charged Funcom with infringement of the Securities Trading Act between August 2011 and July 2012 for allegedly providing false information pertaining to The Secret World. Funcom is fully cooperating with Ã˜kokrim, an official statement read. Ã˜kokrim believes Funcom likely has not maintained the required log of information from August 2011 to July 2012. Funcom went into a trading halt on the Oslo Stock Exchange this morning at 9:30 a.m. Norway time, resulting in a stopping of company stock trading and delisting the company. Funcom's listing has now been reinstated. Employees have been sent home as the investigation continues. Ã˜kokrim staff members entered the Oslo offices with cardboard boxes and carried out carts of equipment from Funcom premises. Ã˜kokrim officers were present as employees arrived this morning. Layoffs hit the company in September 2012, and former Funcom CEO Trond Aas came under investigation for insider trading based on insider knowledge. Aas stepped down as Funcom CEO the day before The Secret World launched. Funcom's stock has dropped eight-fold from the game's launch to investigation. Funcom is currently developing Lego Minifigures Online, a licensed Lego MMO, and the company has also created The Longest Journey in 1999 and Dreamfall in 2006. The Secret World has failed to recreate the same success.